Have you chosen a specific coconut oil for skin care yet? 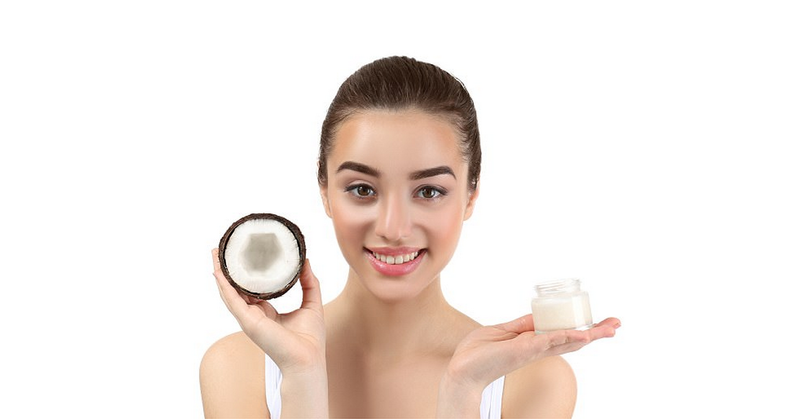 I ask you that because different types of coconut oil perform differently on your skin due to their somewhat different composition and hence, behavior towards skin. Therefore, you should get the right kind of coconut oil for your skin needs first before anything else if you have not done so. 1. What kind of coconut oil is best for your skin? Because medium-chain fatty acids (MCFAs) readily penetrate, moisturize and soften your skin, you can use fractionated coconut oil (which contains purely MCFAs) for your skin care. It is good when use alone, or you can use it as a carrier oil for essential oil too. The edible types of fractionated coconut oil such as MCT oil or liquid coconut oil are equally good for skin. They're made up of absolute MCFAs too. Virgin coconut oil, on the other hand, contains not just MCFAs, but some amount of long-chain fatty acids too. In comparison, it may not permeate your skin as fast as that of fractionated coconut oil. But it still serves as a good skin care product since all its fatty acids are good at fighting bacteria, fungi, viruses, free radicals and parasites that attack your outer and inner layer of skin. In short, fractionated coconut oil penetrates skin relatively faster, but its antimicrobial properties can't match that of virgin coconut oil. So, which one should you use? If you're already consuming virgin coconut oil as food for health purpose, I don't see the need for you to buy fractionated coconut oil separately for skin care. But if you can afford to get virgin coconut oil for health and fractionated coconut oil for skin, why not? If you have both virgin coconut oil and fractionated coconut oil with you, you can actually mix some virgin coconut oil with fractionated coconut oil to give fractionated coconut oil a boost in skin protection and yet without losing its better penetration capability. I do that all the time. Pesticides, chemicals and other harmful micro-contaminants (that you cannot see with your bare eyes) can get inside your body via your skin, hence you should try to use organic coconut oil for skin care where possible. However, it's easy to get real (certified) organic virgin coconut oil for skin care, but you can hardly find fractionated coconut oil in organic form. Even if you see certain brands claiming their fractionated coconut oil as organic, they're actually not certified (look for the "Certified Organic" label or text and you would find none). This could probably be due to the high production cost already involved in making fractionated coconut oil and if manufacturers were to use truly certified organic coconut oil as the source to make fractionated coconut oil, the entire production cost would increase dramatically and make fractionated coconut oil too expensive to be bought. But that does not mean fractionated coconut oil is fraught with chemicals and pesticides. As far as I know, tests have been done on coconuts that are not grown organically but which contain no traces of toxic residues in the meat, as well as in the oil. Therefore, even when you use such non-organic coconut oil as the source in the manufacturing process, fractionated coconut oil may not necessarily contain harmful chemicals or pesticides, unless the process itself uses chemicals. My point is, it's still pretty safe to use fractionated coconut oil for skin care if you don't mind whether it is certified organic or not. Although both virgin and fractionated coconut oil are hypoallergenic (low allergy-risk), I think you should rub a very small amount on the inside of your elbow area to test for any allergic reaction especially when this is the first time you use coconut oil for skin care or when you change to a new brand of coconut oil, just to be on the safe side. Most allergic reactions should respond within 24 hours. If after waiting a day and nothing happens, that means you should be able to safely use the coconut oil for skin care. But please keep in mind that sometimes the so-called allergic reaction on skin upon using coconut oil may just be due to the detox effect of coconut oil. 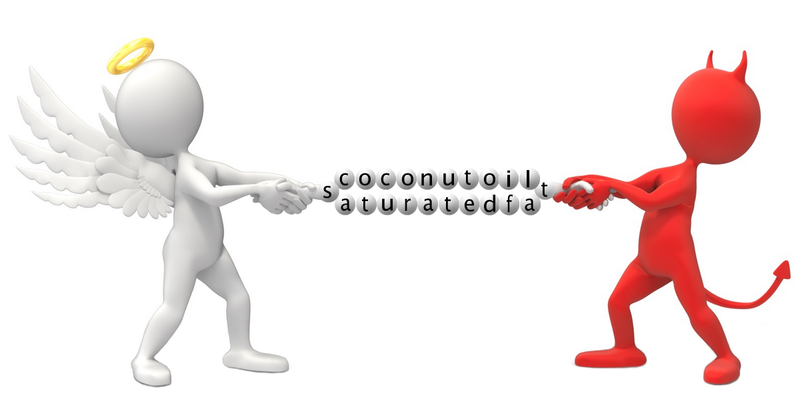 How do you differentiate the detox effect from the real allergic reaction of coconut oil? When you rub coconut oil on a small area (about 2 cm x 2 cm) of your skin for testing and if some kind of rashes appear after an hour or so, don't just quit using coconut oil but instead, keep applying to the same spot again for the next 2–3 days. The rashes should stop. And if the rashes stop, it shows that coconut oil is actually doing toxin purging for your skin. But if the rashes persist, it might be that you're using a low quality coconut oil (that have contaminants in it) on your skin. Therefore, it's really very important to choose top quality coconut oil for skin care uses. With a layer of oily dirt or makeup on your face or other parts of your skin, you can't expect the coconut oil you use to get absorbed into your skin efficiently and effectively. So, make sure you cleanse your skin thoroughly before you apply the oil. This is a crucial step for skin care with coconut oil. Always apply a thin layer of coconut oil over your skin and rub or massage it well to help its absorption into your skin. If you feel the need for second application, do so with another thin film as well. But never apply and rub too much at once as too much coconut oil can saturate your skin easily and make it feel uncomfortably greasy. If you're using coconut oil as a sunscreen, you may need to apply multiple thin layers for protection against UV radiation. The hotter the sun is, the more layers of coconut oil your skin would need. Did you realize that your skin will look bad when you take junk food but it will look good when you take health food? Even when you use a good quality coconut oil for skin care your skin may not glow to its fullest potential. Hence, you should also consume more health food especially those that carry skin-beneficial nutrients like dark green leafy vegetables and fruits that are rich in vitamin C. You are what you eat. I have been using refined coconut oil for 16 days now to relieve my dry skin. I apply liberally to my entire body 1-2 times a day. On day 10, I woke in the middle of the night with a pretty bad migraine and muscle aches. Since then, I've been having daily intermittent migraines throughout the day and night. It continues to wake me up in the middle of the night. I have also switched to coconut oil and coconut water for consumption but not in the quantities recommended because I wanted to start slow. Are the migraines a result of the type of oil I'm using, or coconut oil in general? And how long will this last. Hi Sophoeun, sorry to reply late, just returned from a short trip. It's difficult to tell if your migraine is caused by the use of refined coconut oil. As far as my experience is concerned, coconut oil (whether refined or virgin) does not trigger migraine. It improves blood circulation upon consumption and so it should help to relieve migraine instead. Moreover, it's only on the 10th day then you experience that. Are you able to track back and recall what you did on day 7 to 9 that could have caused your muscle to ache and migraine on day 10? Did you sleep well during that period? Did you drink enough water? Did you suddenly increase the intake of meat since meat contains lots of toxins that can intoxicate your cells and cause all sorts of problems including poor blood circulation that in turn leads to headache or migraine? Did you suddenly get back to working out after staying sedentary for months or suddenly increase the intensity of your regular workout routine? You just have to try to recall and nab the real "culprit". It's right for you to start slow with coconut oil. Even if you use a poor quality coconut oil, the result would be feeling nauseous rather than migraine. I apply it to the affected area. Hi Puthu, coconut oil can speed up the healing of tissue from burn wound. It'll help to ease your pain as well. But you gotta keep your wound dry as much as you can. Is it good to use organic apple cider vinegar as a toner before using coconut oil on face? Thanks for information it is wonderful. Hi Niloofar, no conflict between organic apple cider vinegar and coconut oil as long as you use them separately on skin. ACV does help to tone up skin while coconut oil stops free radical reactions on skin. Using both should make your skin even better over time. Be sure to also use organic coconut oil for your skin. When I've used coconut oil on my skin after a few hours it smells like throw up. Hi Gerri, first of all, before dabbing coconut oil on your skin, does it smell like throw up? If not, then high chance is the bacteria on your skin releasing toxins that cause the vomit smell when they got "assassinated" by coconut oil. Another possible reason is the drawing of toxins (detox) from beneath your skin. Toxins stink. This is a good sign. Keep using coconut oil and the vomit smell on your skin should mitigate over time. Try using organic coconut oil to make sure no impurities from the oil contribute to the smell. I've been taking 1 tablespoon of organic virgin coconut oil in the am. Been noticing extrenely dry, itching skin. Is this normal? Been taking the coconut oil for approximately 1 week. When applying to my skin, noted increased dry skin. Hi Carold, coconut oil should help to lock the water in your skin and keep your skin moisturized. Based on your description, your skin is super dry and because coconut oil penetrates pretty fast, it doesn't seem to help you much. Tell you what, cut down on diuretic beverages like coffee or black tea, green tea etc (if you do take them), then learn to drink 6–8 glasses of plain water every single day. If your diet includes soups, juices or other watery-based food, then you'll have to lower your plain water consumption. Our skin feels dry usually because we fail to consume sufficient fluid. But if you're on medication, some medication can dry you up too. In that case, you'll have to consult your doctor on the amount of water you should drink per day to maintain sufficient fluid in your body and keep your skin moisturized. how can i use the coconut oil to clear away chicken pox scars ? Hi Hamran, use only ORGANIC virgin coconut oil or ORGANIC refined coconut oil. Apply a dab onto the scarred zone and massage gently until it absorbs into your skin. Coconut oil boosts cellular metabolism. This helps to replace dead skin cells quickly with new skin cells. You should do at least twice a day (morning and bedtime). Of course, apply as frequent as you can if you can afford the time. Hi Hamran, it should work for you as long as it's virgin coconut oil. Extra-virgin coconut oil is no different from virgin coconut oil, unlike olive oil that has official grades (extra-virgin is better quality than virgin and so on). But I gotta remind you that it's more effective to apply virgin coconut oil in the mid of your chicken pox so that when the blisters or rashes are gone your skin won't sink in so deeply to cause indented scars. If your scars have been there for months or even years and now you're trying to level your skin with coconut oil, the effect of "pushing up" the indented scars may not be that good. But if you merely want to fade off the discolored marks, then it should help you better. I've been putting a tablespoon of coconut oil in my morning coffee, along with 18 grams of hydrolyzed collagen. Then I add 6 grams of D-Ribose. Plus I put in on my skin. For a 61 year old man my skin looks great. Hi Sakshi, don't really get you. 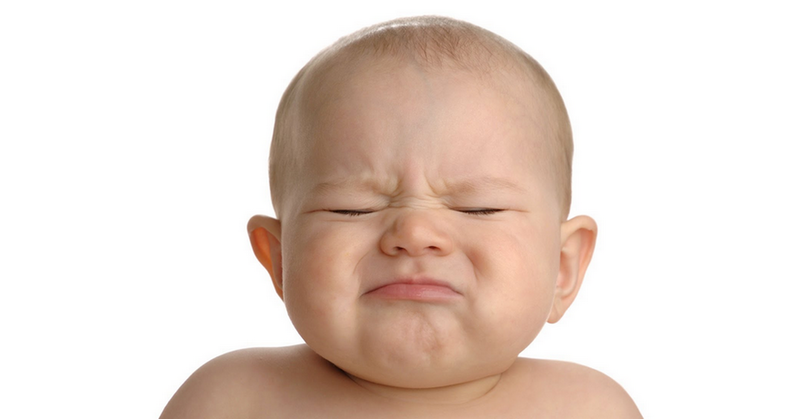 Are you saying that you're having bumps after applying coconut oil to your face? If that's the case, please read up on Coconut Oil for Acne and follow the tips there. Oo srry srry no no. I meant that I have bumps and hives all over my face as well as hands. So will coconut oil heal and clear up my skin? Hi Sakshi, yes, coconut oil can help heal and clear up your skin, but provided you follow the guidelines on How to Use Coconut Oil for Acne. I am in my sixties and of course have wrinkles!!! Should I apply sirums on my face before applying coconut oil as a moisturizer or just apply the coconut oil??? Hi Martha, let me answer on behalf of Sakshi. You can apply serums before putting on coconut oil for one week. Then the following week you'll just apply coconut oil only. This way you can see which method produces the best wrinkle-free result for you. Some people simply put on coconut oil and their wrinkles are reduced while others may require serum to enhance the support for the tissues. Results vary. Hi Gimbiya, coconut oil helps to improve blood circulation. So, it should provide some help for your dark eye bag when you massage with it. Massage twice a day. As for sunburn, coconut oil is good for preventing sunburn. Thanks to its high content of saturated fats. But if you already got sunburn, it might still help to mellow the burning sensation. Try it and you'll know. What is the way to reach end of this list of Q & A, fast? Hi Ron, Q & A is a good way to help you understand more about coconut oil, especially from real people. So, take your time to chew the information well. No hurry.